When to go to Brazil? Brazil is a year round destination, but due to the vast size of Brazil and resulting differences in climate across the country, the best time to visit will depend on where you are planning on visiting for your Brazil travel and the activities that you plan to include on your Brazil tour. Generally speaking, the warmest months across Brazil are from November to March making it perfect for Carnival and New Year festivities. Copacabana Beach in Rio. Photo credit: Shutterstock. The coast of Brazil enjoys a warm, tropical climate, but even in the heat of the sun, the soft sea breeze means that it is still comfortable on the beach. Even during the winter months (June to September) it is still good swimming weather and even though there may be a few cloudy days, temperatures are still pleasant. As you head further south along the coast, temperatures may be cooler. The north eastern coast tends to have rain in June and July, but only in the form of afternoon showers. This is a good time to visit the coast between Rio and Sao Paulo when the air is fresh, the sea still warm and the evenings cool. Salvador and Rio can be visited at any time of the year, but if you want to experience Carnival, then you will need to plan your trip for February or March. The dates of Carnival change each year, but always correspond with the beginning of Lent. Around Salvador, the rainy season kicks off in June, but there are generally only scattered afternoon showers so that your travel plans won’t be affected too much. Spring is a great time to visit Rio as from August to October temperatures are getting warmer, and you may be able to see a samba school rehearsal as they start to prepare several months before Carnival. 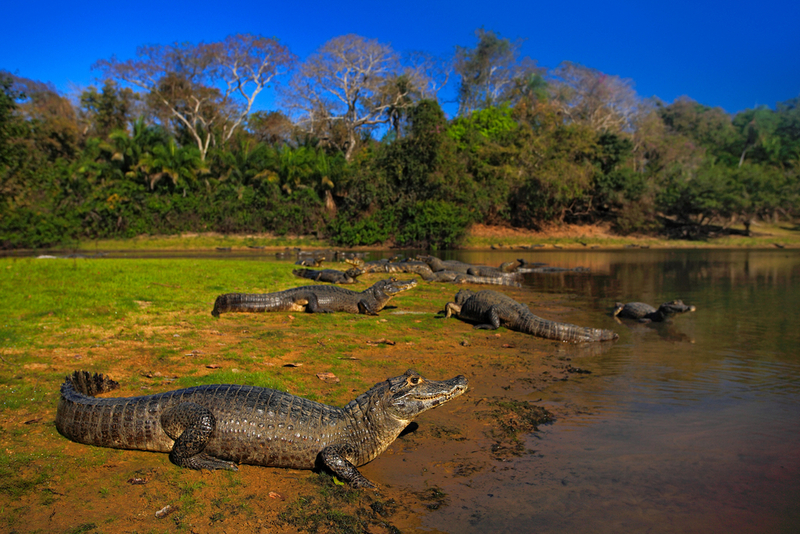 The Pantanal is best visited between May and October and the Amazon between June and November – the driest months in these regions. As you can expect in a rainforest, it’s hot and humid all year. The Amazon crosses the Equator. There are four systems of atmospheric circulation acting in this region with a resulting variability in climate and rainfall. The Amazon has a high annual precipitation and is hot and humid most of the year, although there is a 3 to 5 month dry season, the timing of which varies according to location north or south of the Equator. Average temperatures in the Amazon vary little and range from 22 to 26 °C. The wet season does offer distinct wildlife spotting opportunities and experiences in both the Pantanal and the Amazon. The Devils Throat, Iguazu. Photo credit: Shutterstock. 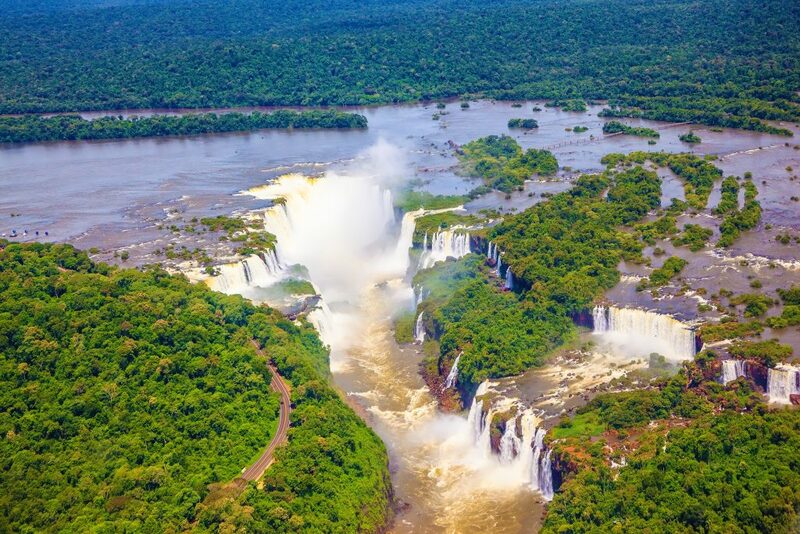 The Iguazu Falls lie in a tropical part of Brazil and can be visited year round, the different seasons bringing different experiences and panoramas. Whatever time of year you go, they are impressive! If you’re looking to enjoy some of Brazil’s colourful festivals, then here are a few that you may want to try to incorporate into your Brazil tour. This takes place during February or March, always beginning the weekend before Ash Wednesday. 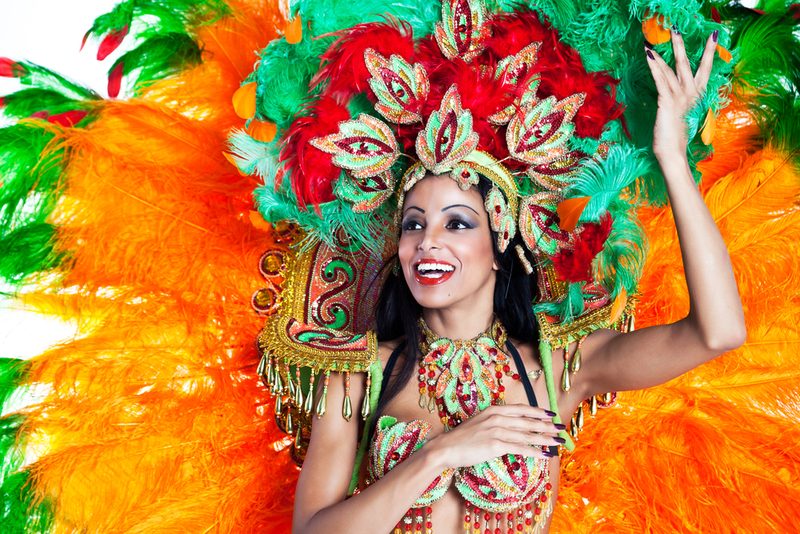 This is Brazil’s most famous festival, the largest celebrations taking place in Rio, Salvador and Recife/Olinda, with colourful samba parades and vibrant street parties. It is thought the word carnival comes from the Latin “carne vale” meaning ‘farewell to meat’ and signifying the start of the period of fasting. Ouro Preto is a great place to be for the Easter weekend with its numerous baroque churches and cobbled streets covered in carpets of flowers laid out in intricate patterns. 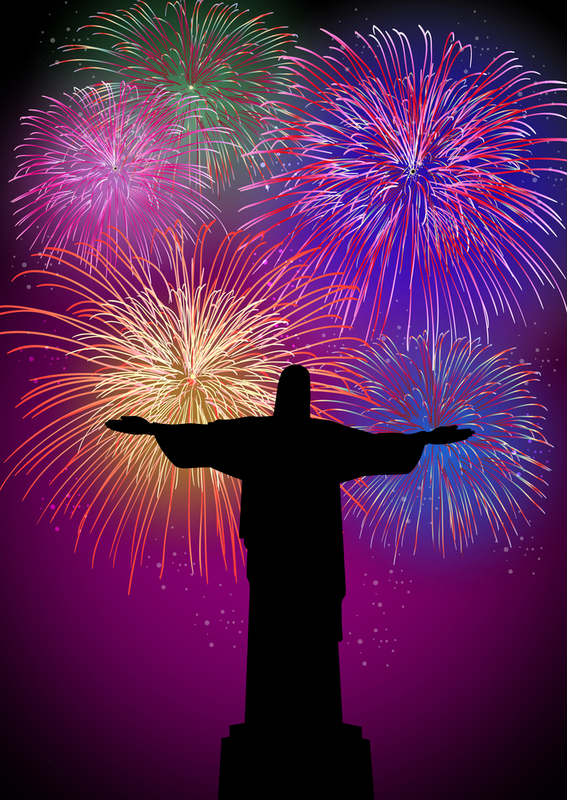 September 7th is Independence Day and a national holiday in Brazil. If you are in Rio on this date, then Avenida Rio Branco is the place to be. Many cities hold military parades to mark Independence Day. 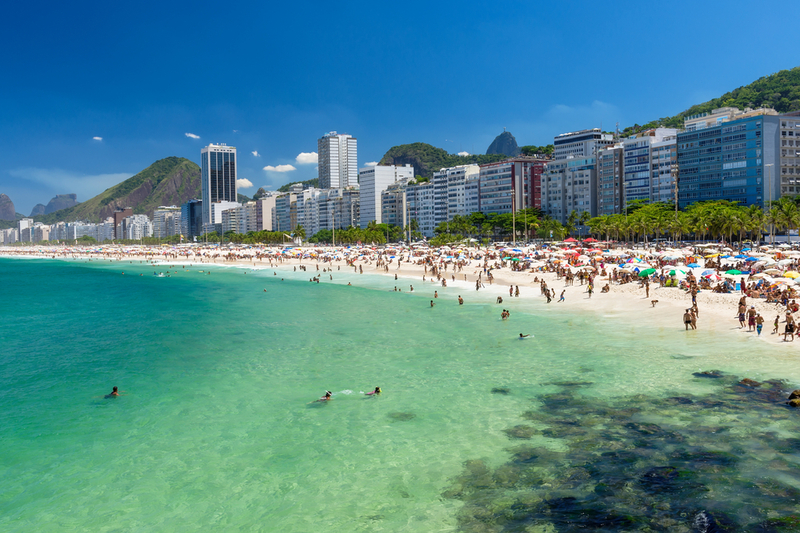 Copacabana Beach in Rio is the hotspot for New Year’s Eve if you like to party! This is one of the most spectacular New Year celebrations in the world, with a fantastic firework display over the water and plenty of live music. This religious ceremony is held on the 3rd Thursday of January in Salvador and is one of the most important religious ceremonies in Salvador. Hundreds of women wearing traditional Bahian dress walk in a procession carrying scented water that they use to wash the church steps. Hundreds of thousands come to watch the procession and join in the festivities. Check out all the unforgettable Brazil trips that we offer, or let us create a bespoke itinerary for your next South America adventure. After all this is what we at Chimu Adventures do best! Click here for more information.